New publication in The Journal of Molecular Biology. This work describes an update version of the original GUILDify, GUILDify v2.0 a network-based tool to identify disease-causing genes. GUILDify v2.0 represents a major update and improvement of the original method, where we have included protein interaction data for seven species and 22 human tissues and incorporated the disease–gene associations from DisGeNET. To infer potential disease relationships associated with multi-morbidities, we introduced a novel feature for estimating the genetic and functional overlap of two diseases using the top-ranking genes and the associated enrichment of biological functions and pathways (as defined by GO and Reactome). The analysis of this overlap helps to identify the mechanistic role of genes and protein–protein interactions in comorbidities. Finally, we provided an R package, guildifyR, to facilitate programmatic access to GUILDify v2.0 This work is the results of our long-term collaboration with Prof Oliva from the Universitat Pompeu Fabra in beautiful Barcelona. We plan to include GUILDify in future releases of the InteractoMIX platform. The paper is available at or can be downloaded from . New publication in Annals of Botany. This publication presents the results of combining a BAC-based physical map for Lolium perenne (perennial ryegrass), a widely cultivated forage and amenity grass, with GWAS sutides to identify a number of candidates genes associated with heading date, plant width, plant biomass and water-soluble carbohydrate accumulation. Besides the identification of candidates genes, the physical maps will aid validating future sequence-based assembly of the L. perenne genome. The paper is available at or can be downloaded from . New publication in Molecular Cell. The post-translational modification of key residues at the C-terminal domain of RNA polymerase II (RNAP2-CTD) coordinates transcription, splicing, and RNA processing by modulating its capacity to act as a landing platform for a variety of protein complexes. Here, we identify a new modification at the CTD, the deimination of arginine and its conversion to citrulline by peptidyl arginine deiminase 2 (PADI2), an enzyme that has been associated with several diseases, including cancer. Cit1810 is needed for interaction with the P-TEFb (positive transcription elongation factor b) kinase complex and for its recruitment to chromatin. In this way, CTD-Cit1810 favors RNAP2 pause release and efficient transcription in breast cancer cells. This work has been done in collaboration with Prof Beato from the Center for Genomic Regulation and Prof Oliva from the Universitat Pompeu Fabra in beautiful Barcelona. The paper is available at or can be downloaded from . New publication in Nature Communications. This work describes a the identification of small drug-like compounds to target RAS-mediated interactions. RAS family of proteins is among the most frequently mutated in human cancers. Among these mutations are those impeding the inactivation of RAS and thus resulting in constitutively active mutants. In this work, a RAS antibody fragment was use to screen a library of chemical compounds and detect those competing for binding to RAS. The initial hits were optimized by structure-based design resulting in a series of potent RAS-binding inhibitors able to prevent RAS interactions inside cells. We contributed our expertise to this project on Prof Terence H Rabbitts' group at MRC Weatherall Institute of Molecular Medicine as part of our long term collaboration. The paper is available at or can be downloaded from . Belated congratulations to Eleni who successfully defended her PhD on June 18th, thus, Dr Ioannou from now on. Eleni set to develop novel, multifunctional, chimeric enzymes to deconstruct a complex C5 syrup. Starting from a natural enzyme, she computationally designed and model chimeric variants that were subsequently tested successfully in the lab proving that they were actually incorporating the desirable functionalities. One of our previous articles, Buwchitin: A Ruminal Peptide with Antimicrobial Potential against Enterococcus faecalis " has been included in eBook Antimicrobial (AMPs) and anticancer peptides (ACPs). This Research Topic will bring together research investigating how AMPs and ACPs are being used, functionalised and produced for clinical applications through a collection of original research and reviews. A primary aim is to highlight approaches that are used to improve efficacy of AMPs and ACPs and also draw attention to similarities in approaches and also what approaches work in one area but not in another. It is hoped that this collection of work would provide researchers with a bank of knowledge to aid in the design of AMPs and ACPs to combat the worldwide problem of antibiotic resistance in microbes and in treating cancer and chemotherapeutic-resistant disease. The eBook is available at or can be downloaded from or here as epub. A (late-realized) new's year resolution. We have upgraded our systems (although kept our fantastic web-site design). Web-servers and databases should be now quicker (hopefully). Please let us know if you find any issues. Congratulations to Stefani who successfully defended her PhD after a four long hours viva examination. Stefani passed her viva on Feb the 6th with just minor corrections. Thus, Dr Dritsa from now on. She is currently working as PostDoc at the University of Kent. The best of luck to you! One more before the end of the year. New publication in The Journal of Molecular Biology. This work describes a novel, sequence-based, prediction method of protein interfaces: iFrag. iFrag represents a novel approach to predict protein interfaces that relies on finding common sequence fragments between pairs of protein sequences exploiting the underlying interologs. iFrag makes no assumptions about protein domain composition, does not use protein structural information and does not need to perform multiple sequence aligments and can even predict small interaction sites consisting only of few residues. Thus, predicted interfaces range from short fragments composed of few residues to domains of proteins, depending on available information on PPIs. Moreover, as a proof of concept iFrag was used to predict peptides sequences that will compete with the aggregation of β-amyloid in Alzheimer's disease; predictions that were subsequently verified by experimental means. This work is the results of our long-term collaboration with Prof Oliva from the Universitat Pompeu Fabra in beautiful Barcelona. We plan to include iFrag in future releases of the InteractoMIX platform. The paper is available at or can be downloaded from . New publication in Nucleus. This work describes a historical overview and insight onto the machinery underpinning chromatin dynamics and the computational structural modeling of such machinery. This work has been done in collaboration with Prof Beato from the Center for Genomic Regulation and Prof Oliva from the Universitat Pompeu Fabra in beautiful Barcelona. The paper is available at or can be downloaded from . Belated welcome to Alexis Amiand from the University of Poitiers who will be with us over the summer as Visiting Student. Alexis joined us on late May this year to work on the development of an automatic system to annotate protein and gene sequences by using on line tools and servers. 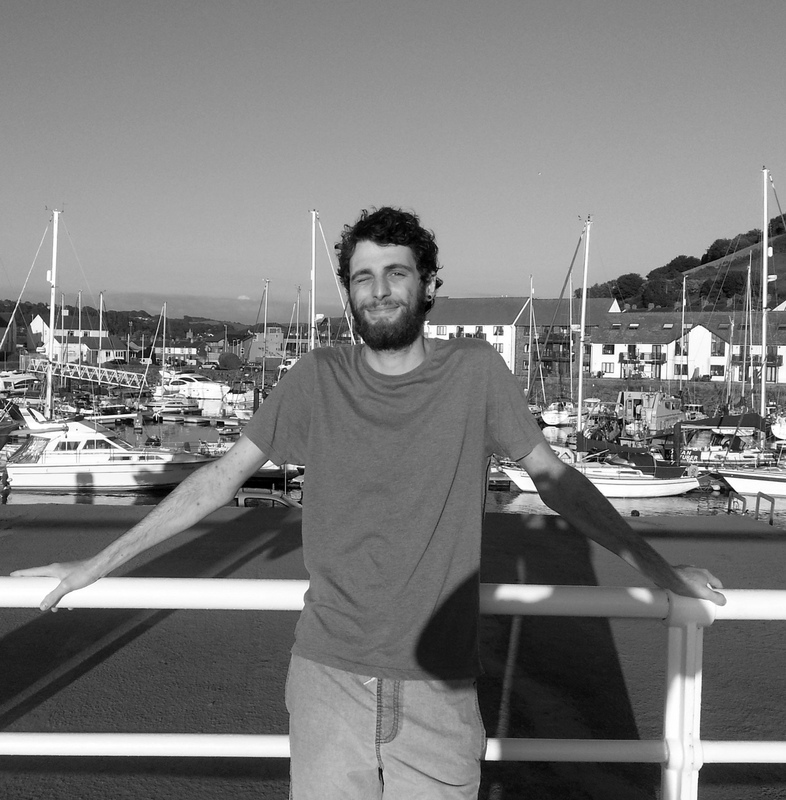 Also, Alexis is really kind in improving his Bioinformatics and English skill whist enjoying Aberystwyth and the Welsh countryside. July bumper month in news. Firstly, we have two new publications. The first one, published in Biotechnology for Biofuels is the result of a collaborative project with Prof O'Donohue from INRA. The collaboration is part of a ClimateKIC project where Eleni Ioannou is developing part of her research in Prof O'Donohue's lab. The paper described a novel multifunctional enzyme: GH51 α-l-arabinofuranosidase from Paenibacillus sp. Our contribution has been the molecular modeling of the enzyme and in complex with substrates. The second one, published in Bioinformatics describes MetaPred2CS server, a web application designed to predict protein-protein interactions in two-components system in prokaryots. This piece of work represents the second publication by Altan Kara. Congratulations to Altan Kara. We have a new PhD in da house. Altan passed his viva on July 6th with just minor corrections, thus congratulations and the best of luck! New publication in Biochemistry Society Transations. This work describes a integrated platform: InteractoMIX that includes 11 published tools and databases for the analysis of protein-protein interactions, ranging from the interactome level to their structural details. Thus, the different tools compiled in InteractoMIX facilitates the in silico study of some of the top topics in the current biomedical research in PPIs on a user-friendly and intuitive manner. Both computational and experimental scientists can expand their knowledge on explicit pathways (in which their proteins of interest are involved), identify key residues related to the function of a particular interaction, model the structure of protein complexes and, eventually, predict new therapeutic targets and its corresponding agents including the de novo modeling of orthosteric peptides to target particular PPIs. The paper is available at or can be downloaded from . Both ArchPRED and Frag'R'Us Smotifs libraries have been updated. Currently ArchPRED libraries contains 705,318 Smotifs; Frag'R'Us non-redundant (40%) and redundant (95%) libraries contain 307,324 and 713,783 Smotifs respectively. New publication in Proteins. This paper describes the first joint CASP-CAPRI experiment, which brought together experts from the protein structure prediction and protein-protein docking communities. The Round comprised 25 targets from amongst those submitted for the CASP11 prediction experiment of 2014. The targets included mostly homodimers, a few homotetramers, and two heterodimers, and comprised protein chains that could readily be modeled using templates from the Protein Data Bank. The paper is available at or can be downloaded from . New publication in BMC Bioinformatics. This work describes the implementation of a sequence-based meta-predictor, MetaPred2CS, designed to predict pairing in prokaryots two component systems. The work was carried out by Altan Kara as part of his PhD research. The paper describing the method is available at or can be downloaded from . A web application interfacing the method is available at here. New publication in PLOS Neglected Tropical Diseases. This work describes the identification and characterization of surface-associated SmLy6 proteins and its role in immune response. This work is part of a collaboration with Prof Hoffmann and Dr Chalmers in IBERS. V-D²OCK is now on-line. V-D²OCK is our newest web-application designed to derive structure models based on data-driven docking. V-D²OCK has been published in PlOS One, available at or download from . V-D²OCK is accessible in our servers web-page. We have updated CapsDB database CapsDB. The new release, v.5.0, now includes 7390 protein structures accounting for ofer 67,000 classified helix caps in over 1600 cluster. Comparing release v.5.0 with previous one, there almost double the number of classified helix caps and structural classes. CapsDB is accessible here. We have updated the library of Smotifs used by ArchPRED to predict the structure of loops. The current library is composed of 647,402 Smotifs. The Web-server is accessible here. 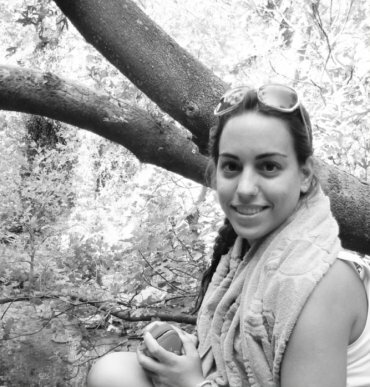 We welcome Eleni Ioannoy who is joining the lab to pursue her PhD. Eleni studied at the Democritus University of Thrace were he graduated in the Department of Molecular Biology and Genetics. Eleni then joined the Department of Biochemistry and Biotechnology at the University of Thessaly to pursue her MsC studies under the supervision of Prof Komioti researching on the development of nucleoside-based inhibitors of thymidine kinase. Eleni's PhD project is funded through a scholarship awarded by Climate KIC under the ADMIT BioSuccInnovate research program and will be co-supervised together with Prof O'Donohue from INRA Toulouse. Eleni's research project aims at developing novel chimeric enzymes suitable for downstream processing and biorefining of lignin and hemicellulose fractions. New publication in Bioinformatics. This work describes Frag'R'Us a newly developed tool to derive main-chain backbone conformations based on geometrical constraints. This servers has application in structure-based protein design and as a tool to predict the structure of protein loops idependently of loop length. This project is part of a long-term collaboration with Prof Oliva from the Universitat Pompeu Fabra in beautiful Barcelona. New publication in Scientific Reports. This work describes the mechanism of of formation of the multi-protein transcription factor complex mediated by LMO2, a known oncogenic protein. This work is part of a long-term collaboration with Prof Rabbitts from the Weatherall Institute of Molecular Medicine in Oxford. We have released a new version of ArchDB. ArchDB is a structural classification of loop in protein structures. ArchDB was first released on 1997 and several updates were released afterwards. The newest release features fully reworked interface and a new clustering and classification algorithm. Moreover, the number of classified loops has increased dramatically. This project is part of a long-term collaboration with Prof Oliva from the Universitat Pompeu Fabra in beautiful Barcelona. We have published a paper in Nucleic Acids Research. This paper describes a major update on our loop structure database ArchDB. The newest version of the database features a fully reworked interface and a major increase on the number of classified loops. This project is part of a long-term collaboration with Prof Oliva from the Universitat Pompeu Fabra in beautiful Barcelona. Find the link to the accepted version here. An three years scholarship is available in the field of protein design. The research project related to the development of multifunctional enzymes. The research will be conducted in two different labs: O'Donohue group based in LISBP, Toulouse, France and Fernandez-Fuentes group in Aberystwyth, United Kingdom. This sholarship is funded through Climate KIC. More information is available here and here. We have published a review article in MedChemComm. This review discusses the use of peptides as drug surrogate to interrogate and interfere with protein function. We briefly present our computational approach to model and design orthosteric peptides based on our iMotifs library that will be further discussed in a subsequent publication. Well done Joan! We congratulate Joan, who passed his viva with flying colors; thus Dr Segura from now on. Joan joined the group on October 2009. During his thesis, Joan has devised novel computational tools to model the structure of protein complexes at a genome-wide scale. Joan's scientific production includes two major papers describing VORFFIP and M-VORFFIP and several others as a result of a number of collaborations. 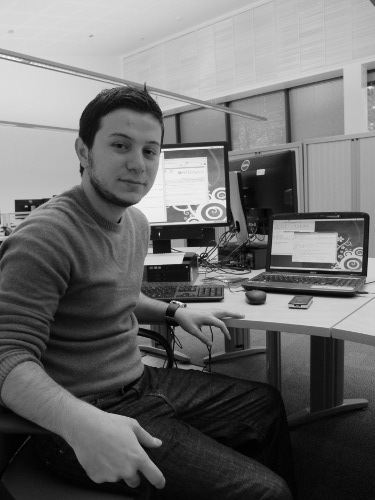 Joan is currently finishing two more projects related with his thesis: VD2OCK and VD2OCK-DB (soon to be posted). It was a real pleasure to work with you! We are recruiting. There are two open positions available within the group: (i) A 3-year Bioinformatic research support position (more information here), and (ii) a PhD position in genomics (more information here.) Please note that due to funding restrictions the PhD is only open to UK and European Students. For more information, please contact us. 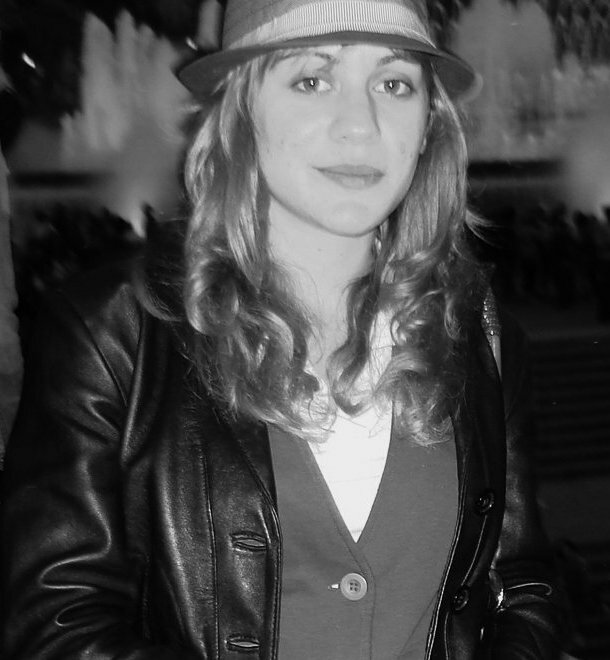 We welcome Stefani Dritsa who is joining the lab to pursue her PhD. Stefani studied at the Democritus University of Thrace were he graduated in the Department of Molecular Biology and Genetics. Stefani then joined the Biomolecular Function and Structure Lab in the same university under the supervision of Dr Bogos Agianian researching on the ternary troponin complexes of L. indicus water bug. Stefani's PhD project is funded through a scholarship awarded by HPC Wales and Fujitsu with the involvement of Biocatalyst. Stefani is going to apply computational design to improve the catalytic activity and thermostability of Lipases, an enzyme family commmonly used in biotechnological processes. We have contributed a chapter devoted to the modular perspective of protein structure and its application in loop modeling in the newly published Protein Supersecondary Structures book edited by Alexander E. Kister , ISBN: 978-1-62703-064-9 (Print) 978-1-62703-065-6 (Online) by SpringerLink. In this work, we discuss recent observations about the saturation of Smotif geometries in protein structures and how it opens new avenues in protein structure modeling and design. As a first application of these observations we describe our loop conformation modeling algorithm, ArchPred that takes advantage of Smotifs classification. In this application, instead of focusing on specific loop properties the method narrows down possible template conformations in other, often not homologous structures, by identifying the most likely supersecondary structure environment that cradles the loop. Beyond identifying the correct starting supersecondary structure geometry, it takes into account information of fit of anchor residues, sterical clashes, match of predicted and observed dihedral angle preferences, and local sequence signal. The chapter was contributed by Narcis Fernandez-Fuentes and Prof. Andras Fiser from Albert Einstein College of Medicine. We welcome Altan who is joining the lab to pursue his PhD. Altan studied at the Ege University were he graduated in the Department of Biochemistry. He then did a MsC in the Institute of Nuclear Science in the same university on molecular modelling of Lectins-Carbohydrate interactions. He then was a visiting research fellow at the Hungarian Academy of Sciences working under the supervision of Dr Ayaydin-Fodor in the Laboratroy of Conformational Diseases. Altan is going to work on the development of understading and modelling the functional impact of genetic variance, e.g. missense SNPs in protein networks. Altan will be also working in the two-component signalling system in prokariots. An three years scholarship is available in the field of protein design. The research project related to the computational design of protein lipases for its application in industrial processes. This is a good opportunity for suitable graduate with a keen interest in computational modeling and a background in either Biology or Physical Sciences. More information is available here and in the find-a-phd website. We have released a revamped and improved version of ArchPRED. ArchPRED is a knowledge-based method for loop structure prediction. The newer version is more stable and faster than the previous implementation. The library of motifs has been also updated and is currently composed of 441,349 motifs. The Web-server is accessible here. GEOM-Matcher, a web application to compute the geometry of supersecondary elements, or smotifs as described here is being implemented. This tools has multiple applications in the field of loop structure prediction and enzyme/protein design. The Web-server is accessible here. An scholarship is available in the field of protein-protein interactions. The research project relates to the computational characterization of two-components systems in genomes with potential applications in Synthetic Biology. This scholarship is only open to European and UK undergrad students. More information is available here. Paper accepted in Bioinformatics. This paper describes our new method: Multi-VORFFIP; a method to predict functional sites in protein structures. Web-server is accessible here. We have contributed a chapter devoted to computational tools and databases for the study of protein-protein interactions in the newly published book Protein-Protein interactions. Computational and Experimental Tools edited by Weibo Cai and Hao Hong, ISBN 978-953-51-0397-4. The chapter reviews current computational approaches for the study protein-protein interactions, ranging from the prediction of protein complexes, charting of hot spots in protein interface and the prediction of protein-binding sites. You can download a pdf of the chapter here. More information about the book here. The chapter was contributed by Narcis Fernandez-Fuentes, Joan Segura and Jose Ramon Blas from Universidad Castilla La Mancha. We have moved! As of January 2012 our lab has moved to the Institute of Biological, Environmental and Rural Sciences, at Aberystwyth University. In this new phase we plan to build strong links with the scientific community within IBERS and the School of Computing with the major goal of utilizing computationals tools to inform plan breeding programs and also to gain further understanding in several aspects of Plant Biology. In particular, we will establish rygrass-focussed bioinformatic research to proactively explore ways to acquire, mine and utilize different sources of data, raging from genome- to phenotype-based, to impact on germplasm improvement. A key aim is to identify areas of the grass programme that can be enhanced by linking computational platforms with experimental outputs at the level of genome, transcriptome and phenome and lead to an understanding of key biological factors that influence breeding sucess. Several positions will be opened in the coming months, so watch this space if interested in this type of research. Paper accepted in Human Molecular Genetics. This paper describes the characterization of a mutation linked to disease that affects the global eye development. The atonal homolog 7 (ATOH7) gene encodes a transcription factor involved in determining the fate of retinal progenitor cells and is particularly required for optic nerve and ganglion cell development. Using a combination of autozygosity mapping and next generation sequencing, we have identified homozygous mutations in this gene, p.E49V and p.P18RfsX69, in two consanguineous families diagnosed with multiple ocular developmental defects, including severe vitreoretinal dysplasia, optic nerve hypoplasia, persistent fetal vasculature, microphthalmia, congenital cataracts, microcornea, corneal opacity and nystagmus. The strcutural modeling of p.E49V mutation shows that it maps onto the helix that recognized the DNA sites, and thus likely to impair the function of ATOH7.Among others research groups, this was a collaboration between Dr. Fernandez-Fuentes and Dr. Mani Ali's group at the Leeds Institute of Molecular Medicine. Paper accepted in Nucleic Acids Research. This paper describes our new database: CAPS-DB; a structural classification of helix capping-motifs. CAPS-DB presents a comprehensive structural classification of helix cappings in protein structures. The classification has been derived using a novel, fast and reliable clustering method that is based in geometry and conformation. The information contained in CAPS-DB has a number of potential applications in the fields of Structural Biology, Protein Design and Engineering an Bioinformatics. Database is accessible here. Paper accepted in The American Journal of Human Genetics. This paper describes the characterization of a mutation linked to an eye disease. Among others research groups, this was a collaboration between Dr. Fernandez-Fuentes and Dr. Mani Ali's group at the Leeds Institute of Molecular Medicine. Paper accepted in BMC Bioinformatics. This paper describes our new method: VORFFIP; a method to predit protein binding sites in protein structures. Web-server is accessible here. Interested in pursuing your PhD in our group? The University of Leeds is offering 18 fully funded University International Research Scholarships for high quality international students commencing PhD research in Year 2011-12. If interested in our group and thinking on applying, please drop us an e-mail. Please check requirements and find more information here. We have contributed a chapter devoted to loop modeling techniques in the newly published book Introduction to Protein Structure Prediction edited by Huzefa Rangwala and George Karypis. The book has been published by Wiley as a part of the Wiley Series on Bioinformatics: Computational Techniques and Engineering and presents a quite comprehensive and updated review of techniques in protein structure prediction and its applications. You can take a look (and eventually buy the book) here. The chapter in modeling loops in protein structure was contributed by Dr. Fernandez-Fuentes and Dr. Fiser at the Albert Einstein College of Medicine. Paper accepted in Nucleic Acids Research. This paper describes our new database: PCRPi-DB; a database of annotated hot spots in protein interfaces. PCRPI-DB is weekly updated. Database is accessible here. We got the front page on Nucleic Acids Research on October 2010. The structure describes a computer generated model of the dimeric Runx1 complex bound to two overlapping palindromic Runx1 binding sites. Runx1 normally binds to single Runx1 binding sites as part of a complex of Runx1 plus CBFb that is known as Core Binding Factor (CBF). However, the article by Bowers et al. in this issue demonstrates that Runx1 can also form dimeric complexes where two Runx1 Rel-like domains engage GG motifs on opposite strands of overlapping Runx1 sites. This was a collaborative project between Dr. Fernandez-Fuentes and Prof. Cockerill's lab at the Leeds Institute of Molecular Medicine. Paper accepted in PlOS ONE. This paper describes our new web application PCRPi-W, a web server to chart hot spot in protein structures. Server is accessible here. Interested in pursuing your PhD in our group? The Leeds CR-UK Cancer Center is offering a 3 years PhD studentship for post-graduate students. Details of the research project and more information is available here. Please note that this call is only open to EU and UK students. Paper accepted in Molecular Vision. This paper describes the characterization of a mutation linked to an eye disease. Among others research groups, this was a collaboration between Dr. Fernandez-Fuentes and Dr. Mani Ali's group at the Leeds Institute of Molecular Medicine. Paper accepted in PlOS Genetics. This paper describes the characterization of a gene linked to dilated cardiomyopathy (DCM). This was a collaboration between Dr. Fernandez-Fuentes and Prof. Dear's lab at the Leeds Institute of Molecular Medicine. Paper accepted in Nucleic Acids Research. This paper describes the experimental evidence and structural modeling of RUNX DNA binding domain binding as a dimer and recognizing. two overlapping DNA bindind sites within a palindromic sequence. This was a collaborative project between Dr. Fernandez-Fuentes and Prof. Cockerill's lab at the Leeds Institute of Molecular Medicine. Paper accepted in PLoS Computational Biology. Structural genomics efforts aim at exploring the repertoire of three-dimensional structures of protein molecules. While genome scale sequencing projects have already provided us with all the genes of many organisms, it is the three dimensional shape of gene encoded proteins that defines all the interactions among these components. Understanding the versatility and, ultimately, the role of all possible molecular shapes in the cell is a necessary step toward understanding how organisms function. In this work we explored the rules that identify certain shapes as novel compared to all already known structures. The findings of this work provide possible insights into the rules that can be used in future works to identify or design new molecular shapes or to relate folds with each other in a quantitative manner. This was a collaborative project between Dr. Fernandez-Fuentes and Dr Fiser's lab at the Albert Einstein College of Medicine. Interested in pursuing your PhD in our group? The University of Leeds in parnertship with China Scholarship Council is offering up to 13 Scholarships for high quality student who will be commencing PhD research on year 2010-2011. The area of research within the Faculty of Medicine and Health is cancer research within the Leeds Institute of Molecular Medicine. If interested in our group and thinking on applying to this scheme, please drop us an e-mail. Please check scholarships requirements and find more information here. Interested in pursuing your PhD in our group? The University of Leeds is offering nine fully funded University International Research Scholarships (FIRS) for high quality international students commencing PhD research in Year 2010-11. If interested in our group and thinking on applying to a FIRS Scholarship within our group, please drop us an e-mail. Please check FIRS requirements and find more information here. Interested in pursuing your PhD in our group? The Leeds Institute of Molecular Medicine (LIMM) is offering several studentships for post-graduate students interested in doing a PhD starting from October 2010. We have submitted a research project (project #6) to be considered by prospective PhD students. More information is available at the LIMM website, at the jobs.ac.uk website, at the findaphd website, at the Faculty of Medicine and Health website (University of Leeds), and advertised in Nature Jobs. We welcome Joan who is joining the lab to pursue his PhD. Joan studied at the Universitat de les Illes Balears were he graduated in Mathematics and Telecom Engineering. He then worked as scientific programmer/developer at the Biocomputing Unit headed by Dr. Jose Maria Carazo within the National Center for Biotechnology. Joan is going to work on the development of novel methodologies to improve the resolution of protein interaction maps by combining sequence and structural information. New paper in Human Molecular Genetics . This article explore the effect of mutations in the assembly of NAP57-SHQ1 ribonucleoprotein complex and its relationship with Dyskeratosis congenita. Mutations concentrate in the N- and C-termini of NAP57 but not in its central catalytic domain raising questions as to their impact. We demonstrate that the N- and C-termini together form the binding surface for the H/ACA RNP assembly factor SHQ1 and that dyskeratosis congenita mutations modulate the interaction between the two proteins. This was a collaborative project between Dr. Fernandez-Fuentes' previous lab, Dr Fiser's lab and Dr. Meier's lab at the Albert Einstein College of Medicine. This is yet one more example of a wet-dry lab combined approach to address important questions in Biology. We have been awarded a Wellcome Trust Value in People Award, by the University of Leeds to support Dr. Assi. We have launched a new website for the group. You can access it at http://www.bioinsilico.org. We are actively working on improving our website, so we do welcome any comments, suggestions, etc, please refer to the contact us link. Disclaimer: please note that this is not the institutional website of the group. To access the institutional website of the group at University of Leeds please click here. New paper in Fronteirs of Bioscience . This article explores the biophysical character of HPV E2 viral proteins with the goal of identifying characteristics that associated with risk of virally caused malignancy. The amino acid sequence, 3D structure and electrostatic features of the E2 protein DNA binding domain are highly conserved; specific interactions with DNA binding sites have also been conserved. In contrast, the E2 protein's transactivation domain does not have extensive surfaces of highly conserved residues. Rather, regions of high conservation are localized to small surface patches.